New York’s governor ordered buildings to be illuminated in pink lights on January 22, in celebration of state law he had just signed eliminating most limitations on abortion. Legislators in Virginia and Vermont are ready to follow suit with radically anti-life policies. Think it couldn’t happen in New Hampshire? The grim fact is that it already has. 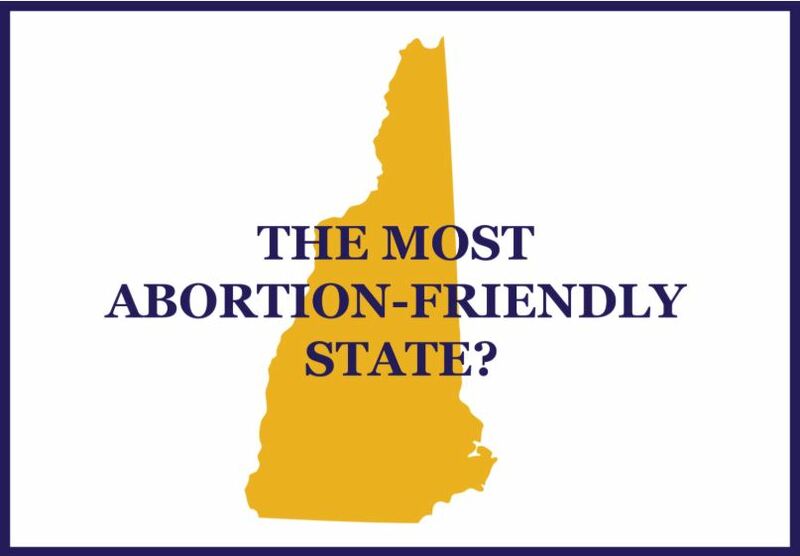 New Hampshire is one of the most abortion-friendly states in the country. Learn the facts – and then learn how you can help to turn the tide! Abortions are legal, unrestricted, and unregulated throughout all 40 weeks of pregnancy in New Hampshire. As recently as 2017 and 2018, legislators rejected bills that would have provided protection for viable preborn children. New Hampshire has a parental notification statute. When a minor seeks abortion, she needs to notify a parent or guardian, or else use a “judicial bypass” in which a judge determines she is mature enough to make her own decision. The law calls for notification, not consent. New Hampshire bans the barbaric abortion method known as partial-birth abortion or dilation-&-extraction, in which a child is delivered partway before being killed. This ban was passed in 2012. As of early 2019, New Hampshire policy limits the use of Medicaid funds for abortion. New Hampshire adopted a fetal homicide statute in 2017, allowing prosecutors the option of filing homicide charges against a person whose bad actions cause the death of a preborn child against the mother’s will. While not an abortion law, it was bitterly opposed by abortion advocates. No one knows, and that includes state lawmakers. New Hampshire does not have an abortion statistics law, despite the fact that the federal Centers for Disease Control attempts to collect abortion data. Forty-seven other states manage to collect and report such data, while protecting the anonymity and privacy of individual women obtaining abortions. New Hampshire public health officials have no reliable data on the age of women seeking abortion, the stage of pregnancy at which abortions are performed, and whether women are experiencing abortion complications. No one knows, since public health authorities do not collect any data on abortions. There is no requirement that abortion providers in New Hampshire have any medical training or certification whatsoever. Do New Hampshire public health authorities inspect abortion facilities? Consider running for local or state office. ELECTIONS MATTER!